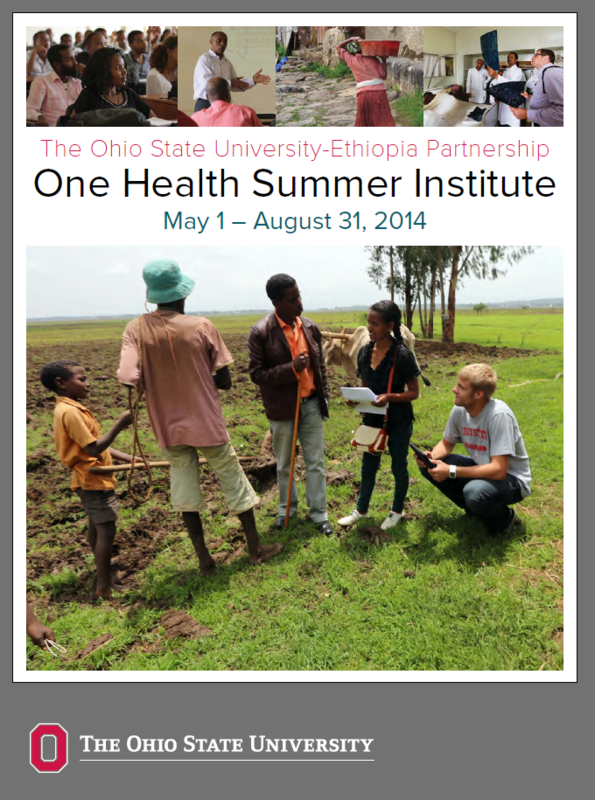 I’m happy to share that the brochure for the 2014 One Health Summer Institute is now online. 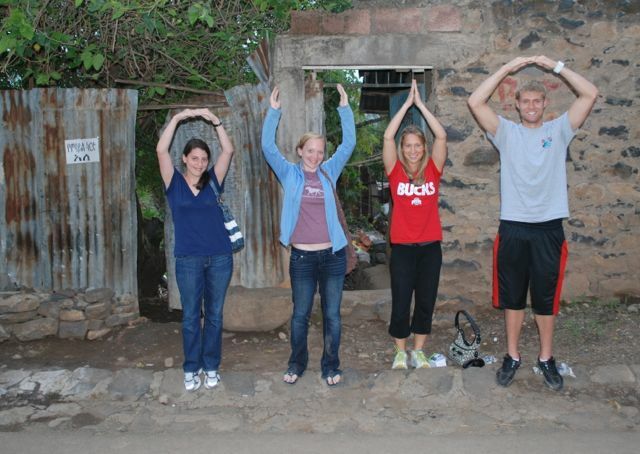 We were very excited to welcome four Ohio State students to Gondar yesterday. They are beginning their work on the needs assessment for a rabies prevention/elimination project. Last night over a traditional Ethiopian dinner, the group met with University of Gondar Veterinary Medicine Dean Dr. Mersha Chanie, Chair of Sociology Molalign Belay, guest Dr. Judd Walson from the University of Washington’s Department of Global Health, and Ohio Staters including Veterinary Medicine Professor Baye Molla, College of Nursing Vice Dean Usha Menon and other College of Nursing faculty. One thing that struck me was the diversity and intensity of the group. These four students represent the breadth of programs at Ohio State and how interdisciplinary work can bring creative and innovative perspectives to important problems. Third-year veterinary student Karissa Magnuson is interested in wildlife veterinary medicine. Ally Sterman is a third-year veterinary student with an interest in shelter medicine and public health approaches to veterinary problems. Korbin Smith, BS ’13, was inspired by Dr. Randall Harris in the College of Public Health to consider opportunities in public health. Heading up the team is graduate student Laura Binkley, who is working on a Master’s degrees in public health and wildlife ecology. Absolutely striking was the passion that each student brought to their particular interests and the lively discussion about where interests overlap and intersect. This is the kind of collaboration that we can build only at a major academic institution like Ohio State.